**This post has been updated August 1, 2016 as we have changed a lot of our essentials. Hello!! Along with inquiries about what we eat, I also receive quite a few questions about products we use for Willow…so I figured this would be a great way to share with those who might be interested. We are HUGE fans of The Honest Company and have been getting bundles delivered each month, right to our doorstep, since Willow was just a couple of months old. Not only do they use organic ingredients, but EWG’s Skin Deep Cosmetics Database gives them an excellent rating. Target and Whole Foods has started carrying a nice selection of their products, but the best deal is when you order a bundle directly from The Honest Company. We pay $35/month for the Essentials Bundle and choose five products to be delivered – ranging from dish soap to laundry pods and shampoo to dish towels. We love this company because they’re committed to creating non-toxic, sustainable products and they pay it forward to the community. They also provide organic products at a reasonable price! We have also been using Honest Company diapers since Willow was a baby. **We recently cancelled our bundle subscription since we no longer use all of the products – if we are in a pinch, we can find Honest Co. products at Target or Natural Grocers for reasonable prices. 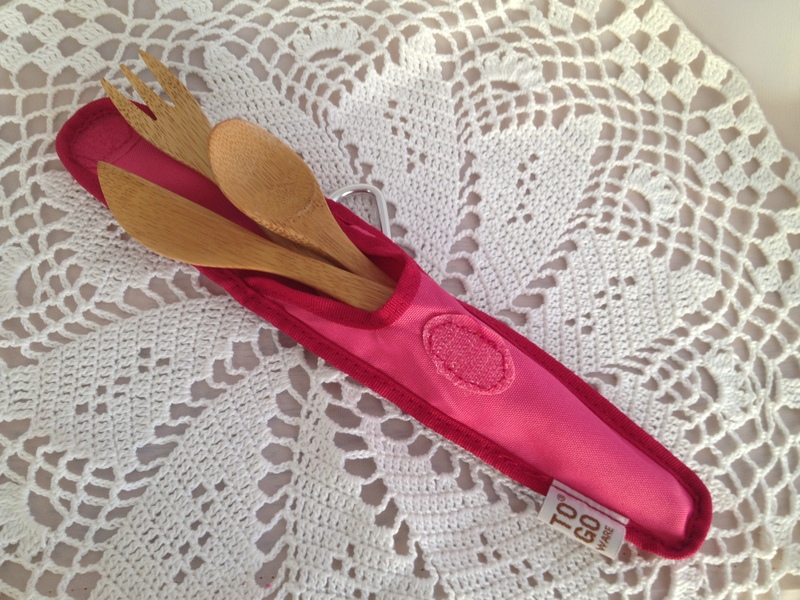 When Willow was just a baby, we used this Hip Peas hairbrush as it contained no animal bristles…vegan + cruelty-free. The bristles are incredibly soft and gentle on cradle cap. When her hair started getting increasingly curlier, we switched over to a hair pick (currently on the hunt for a more sustainable option) and the detangler is a MUST! Not only does it smell amazing (like a creamsicle), but it makes combing her hair so much easier. We do our best to remember to apply this Honest Company lotion after her baths – we love how it’s unscented and not greasy. Josh and I use it, too! **We no longer use Honest Co. face + body lotion or detangler – we all use my homemade body butter and herbal homemade hair detangler. 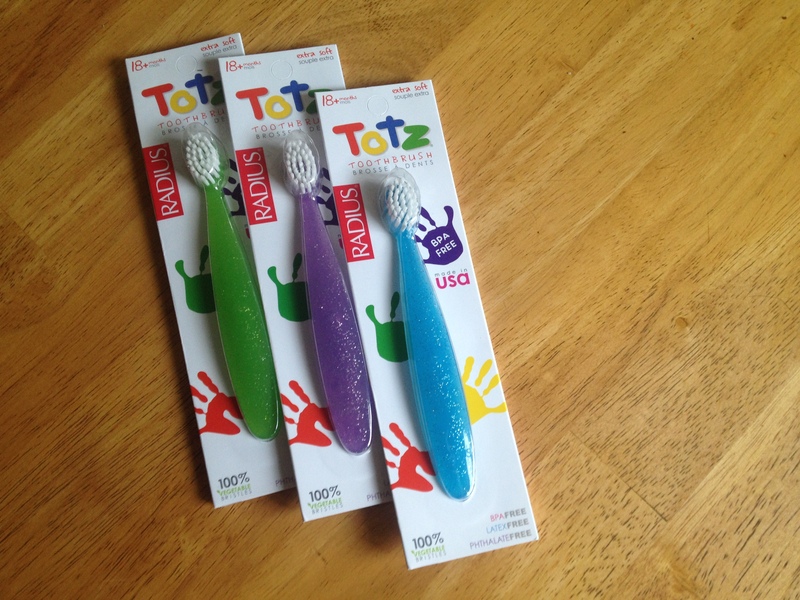 Ever since we started brushing Willow’s teeth, we’ve been using Jack ‘N’ Jill toothpaste and these toddler Radius toothbrushes. We order both through Amazon – the toothpaste comes in a two-pack (you get to choose the flavors, but these two get the best rating on EWG at a ‘0’ rating) and the toothbrushes come in a three-pack. There are other brands of toothbrushes, but we have found this one to be of the highest quality and they last a LONG time. Josh and I use the adult Radius toothbrushes, too. **Willow has been using an electric toothbrush to brush her teeth and continues to use a small soft brush for her gums (either Radius or one of the bamboo options on the market). We no longer use this toothpaste – ever since early spring we made the switch to using Living Libations Wild Child Happy Gum Drops. Can be purchased through Living Libations, The Raw Food World, or Amazon. 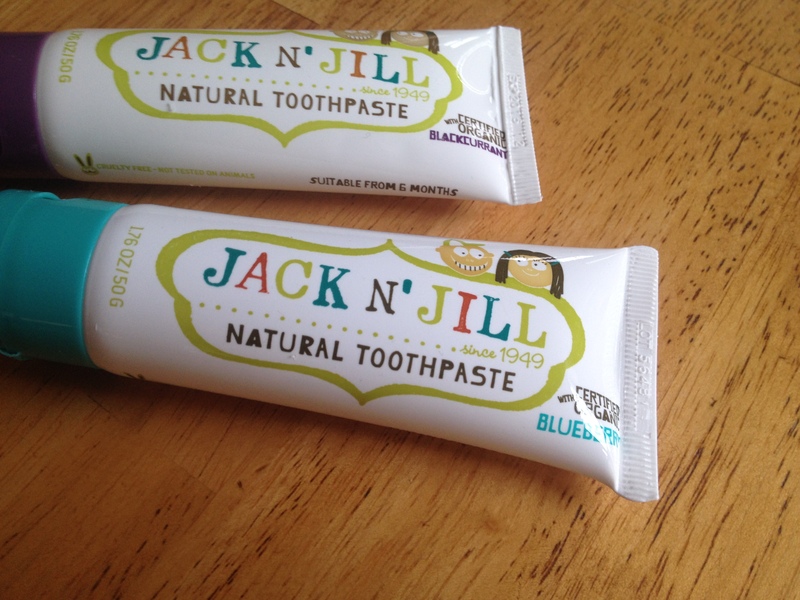 Jack ‘N’ Jill toothpaste in Black Currant & Blueberry flavors. Natural and organic. While I believe the sun is our friend and it’s the ideal way to get your Vitamin D, I also know that you should protect yourself during longer periods outdoors. The sun is powerful and skin damage (or cancer) is a very real thing. If we’re only going to be outside for 20-30 minutes, I personally do not bother with sunscreen. When we’re going out for a long hike or an adventure at the coast, we make sure to pack our non-toxic sunscreen. After a lot of research and reading tons of labels, this is the brand we chose for Willow last summer. I always refer to EWG for sunscreen updates – here is a link to their 2014 guide to sunscreens – their 2015 guide should be available soon. 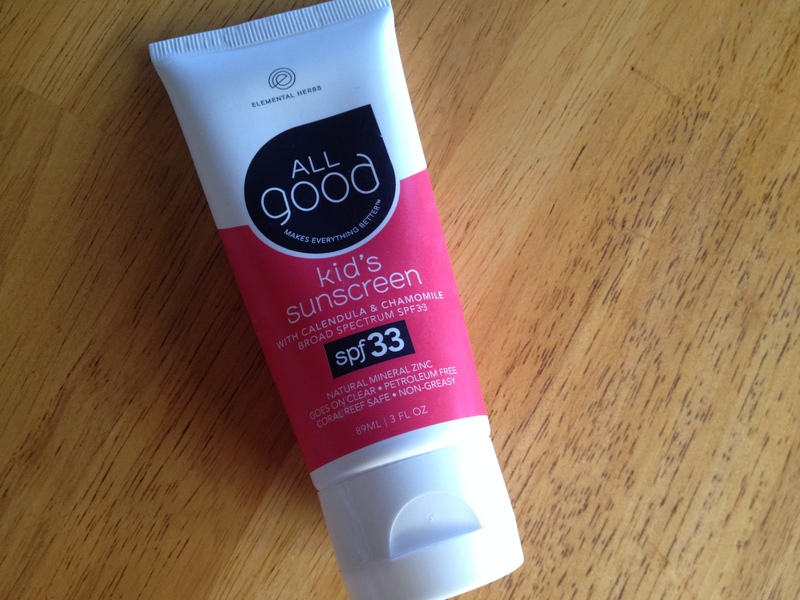 We chose All Good by Elemental Herbs because it didn’t have a high SPF, it didn’t contain oxybenzone or retinyl palmitate, it contained non-nanoparticle zinc oxide, it was GMO-free, gluten-free, vegan, NO parabens or phthalates and it was a “broad spectrum” sunscreen – meaning it protects against UVB and UVA radiation. EWG goes into more detail in their guide about what to avoid in a sunscreen, so please visit the link above. 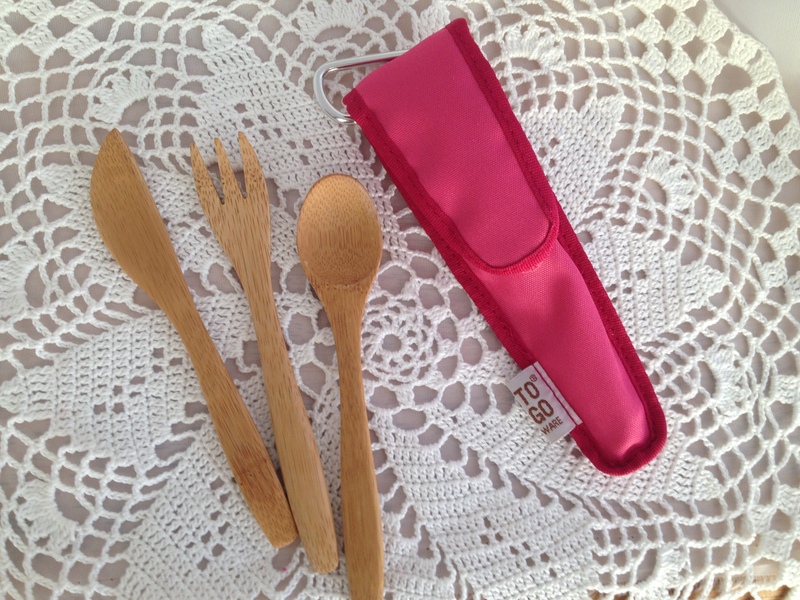 To learn more about To-Go Ware, please visit the link above! I know some people will disagree, but we firmly believe in giving Willow a multivitamin. If your child eats well, gets all of his/her vitamins through food, then I applaud you! Willow is down right finicky. When we first started her on solid foods, she ate whatever we put in front of her – it was amazing. Sadly, that changed as she got older and now she is very particular with the foods she eats. We make sure to always provide options, but do not believe in forcing her to eat her veggies, as that will only make matters worse. So, we started using Dr. Fuhrman’s Pixie Vites a couple of years ago. We would add one little scoop into her smoothies and she would get her daily dose of vitamins. When we hit the colder months, smoothies were less frequent and it was harder to “sneak” those vitamins in. 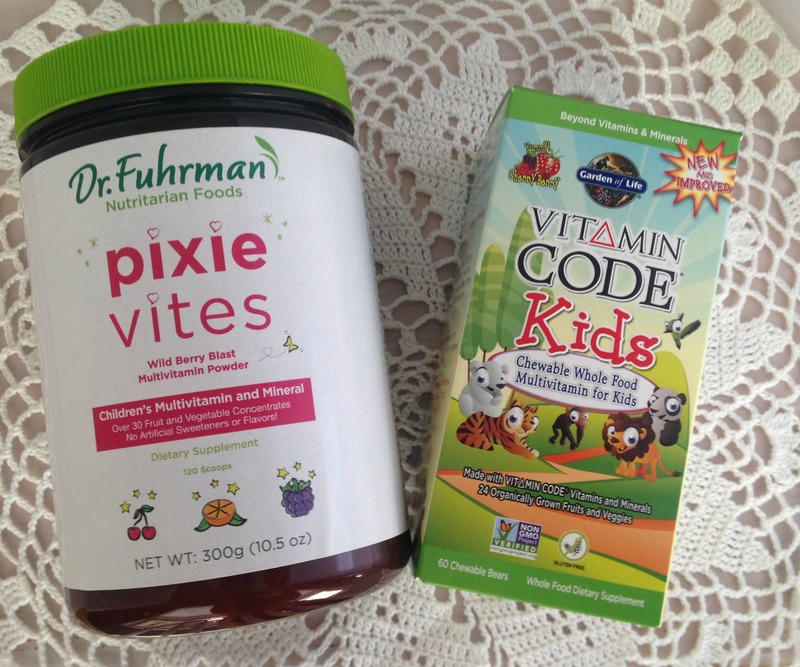 After lots of research, I decided to buy Garden of Life’s Vitamin Code Kids (chewable multivitamin). The serving says two bears, but we give her one a day. No synthetic folic acid – both use REAL folate from food. No vitamin A or Beta-carotene. Free from common allergens: soy, gluten, dairy, eggs, wheat, corn, nuts. GaiaKids Sniffle Support Herbal Drops – for congestion during allergy season. Amber necklace – Willow has been wearing one 24/7 since she was four months old. It has helped tremendously with teething pain. Lavender essential oil – we use a few drops in her bath on occasion, diffuse it at bedtime, or apply it directly to help calm a fussy mood. Inglesina Table Chair – we used this for about a year and loved it! Great for travel and Willow enjoyed it because she was sitting right at the table with us. It took up very little space compared to the bulky high chairs. We stopped using it several months ago as she now sits in a regular chair. I’m positive that I’m forgetting something, so I’ll be sure to update this post when I think of other items. I hope this was helpful to some of you!